Leave any service related to your microwave oven to us. At our Appliance Repair Calgary company, we provide quick help when these small units break down. And our pros always carry microwave replacement parts with them. No matter of your microwave’s brand, you can rest assured that our tech will have the right spares with him to fix your small appliance in Calgary efficiently. And the time of our response is rapid. When you use this special oven often, what you need is speedy service. And that’s what we offer: quick microwave repair in Calgary, Alberta. We arrive at your local residence as fast as we can and have all the tools required to complete the service during this first visit. From diagnostic equipment to repair tools and branded spares, our pros have at their disposal everything they need to complete the service effectively. Trust that we have serviced tens of different microwave oven types. We are familiar with the latest models and have long experience in microwave service. No matter which brand you own or what the current problem with your microwave oven is, trust our pros to fix it. 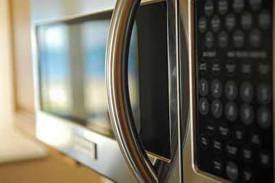 Whether your microwave is not heating up well or fails to function at all, our pro will find which parts cause the problem and do the required microwave repair work. Just like any other home appliance, microwave parts wear, tear, and break. The heating elements burn out and there is always a need to replace all these defected components. For this reason, our techs come bringing along several types of spares to match the needs of your microwave. We simply replace any worn part once we troubleshoot and understand what caused microwave trouble. And we won’t leave before we fix your appliance. Need our help with microwave issues? 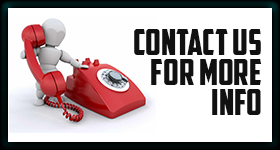 Call us to cover Calgary microwave repair requests.